I have a cookbook obsession. While some people collect art, jewelry, or sneakers (I hear this is a thing), my shelves are filled with cookbooks ranging from a well-worn Joy of Cooking to the latest from my favorite food blogger. But they don’t just sit there collecting dust; I use these books on a daily basis. In fact, my love of cooking is part of what motivated me to go back to school and become a registered dietitian. Research indicates that people who cook their meals at home have healthier diets and consume fewer calories than those who do not. Zesty catering is vetted by dietitians who ensure your meals are healthy and balanced, but who’s in charge of this at home? You! Cooking is generally less expensive and makes controlling portion sizes a much more manageable task. Your office meals are covered, why pay more than you need to for food outside of work? It’s easier than you think! Cooking does not have to be complicated or time-consuming. You just need the right instructions. Now when you hear the words “healthy cookbook,” what comes to mind? Your first reaction is probably not one of wild enthusiasm. We often associate healthy eating with restriction, so a healthy cookbook must automatically mean no cheese, no sugar – basically none of the good stuff, right? Wrong! While many popular books would have you believe that you need to eliminate everything you love from your diet in the pursuit of health, this is simply not the case. The best healthy cookbooks, in my opinion, focus on whole foods, balance, and variety – everything in moderation. If you only get one cookbook, make it this one. 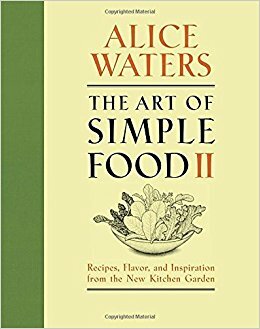 Alice Waters, owner of Chez Panisse in Berkeley, California has been called the mother of American food and is a pioneer of the organic food movement. Her philosophy is that good cooking comes from using good ingredients, and all of her recipes focus on local, sustainable, and seasonal cooking. This is not a diet book. 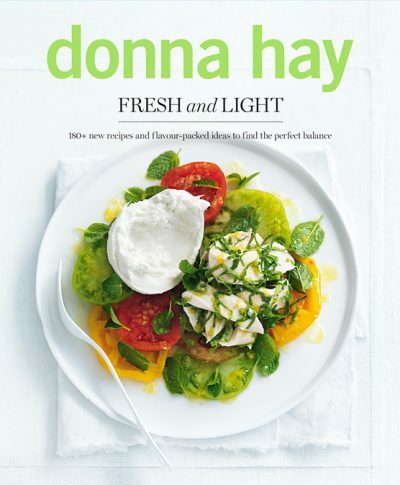 As someone who claims she doesn’t even like the idea of anyone being on a diet, Hay focuses on balanced meals that are on the lighter side but packed with flavor. Her recipes are simple to prepare and highlight fresh produce, whole grains, and lean proteins without seeming too virtuous. This book also has beautiful pictures! Deborah Madison, founding chef of Greens Restaurant in the Bay Area, is widely considered the Julia Child of vegetarian cooking. This book, while huge (it contains over 1,400 recipes! 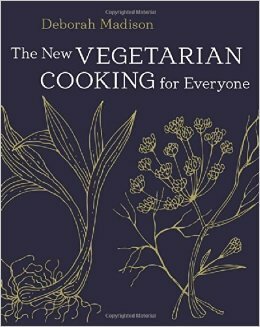 ), is the most comprehensive vegetarian cookbook out there and is designed for both vegetarians and those who just want to occasionally cook meatless meals. If you’re at all interested in following a more plant-based diet, this book is for you. This is a great book if the idea of healthy food in general doesn’t appeal to you. 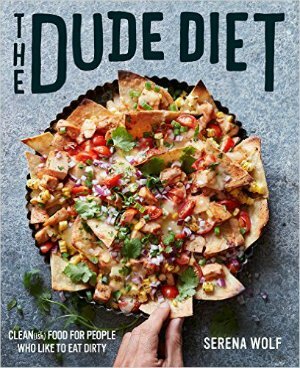 In this cookbook, food blogger Serena Wolf of Domesticate Me created healthier versions of her boyfriend’s favorite foods – think mac and cheese, pulled pork, Philly cheesesteaks, and lasagna. Her mantra is “clean(ish) food for people who like to eat dirty,” and her recipes prove that a few changes can make a classic dish far healthier without sacrificing flavor. 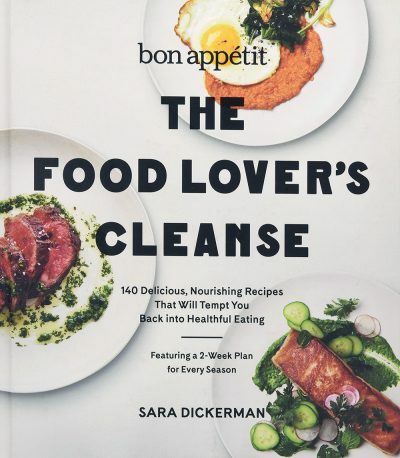 If you’re craving a more structured plan, say after the holidays or before a big vacation, I really like this book from Bon Appetit written by Sara Dickerman with registered dietitian Marissa Lippert. Modeled after what used to be an online feature around the start of the year, The Food Lover’s Cleanse includes four two-week eating plans, one for each season. The program emphasizes whole foods, mindful eating, and portion control for people who love to eat (like me! ), and all of the recipes focus on fresh, flavorful, unprocessed ingredients.